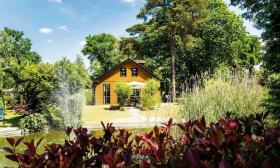 Cycling, hiking, playing, swimming and much more amidst the woods. 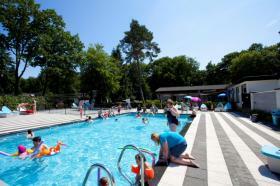 This holiday park borders with the nature area Veluwe near Ede. 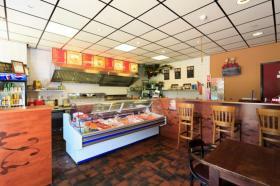 It offers all sorts of facilities for both young and old. The kids can enjoy themselves in the playgrounds, the heated outdoor pool, with the animation tea or on the fields playing sports. 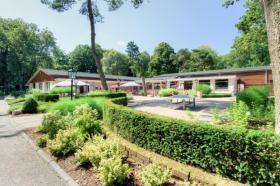 The park is surrounded by nature of for example the heather fields of Ginkel and its sheep herd, the rolling hills and sand drifts of the Wekeromse Zand and last but not least National Park "de Hoge Veluwe" with it's rich wildlife. 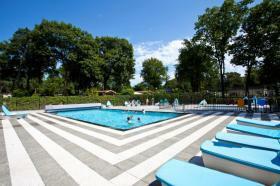 It's a place to enjoy and relax all year round. 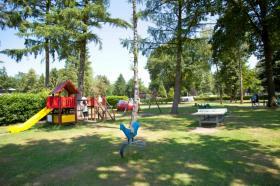 In this family-oriented holiday park, children are sure to have the time of their lives. Many features have been tailored just to them. 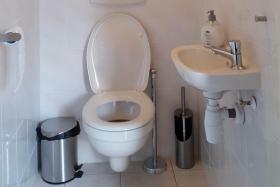 Of course there are adequate facilities for adults as well. A few of the many amenities include: a central playground and several small playgrounds, a heated outdoor pool with sunbathing area, volleyball court / recreation area, multi-funtion area (eg football) and a recreational team during the summer months. 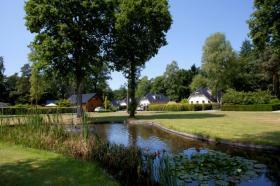 The park is situated amidst the nature of the Veluwe. 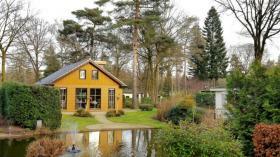 The park is completely surrounded by woods and lies near Ede and Lunteren. The wide diversity is typical of the landscape around Ede. Here one can find forests, heaths and sand drifts. De Hoge Veluwe National Park is a good example. Near Ede and Bennekom there are high (dry) heathlands for sheep, lowland pastures for other livestock and arable areas in between. Besides plenty of space and the tranquility of nature, the charming village and city life is not missing either. Beautiful Gelderland villages around Ede include Lunteren, Otterlo, Bennekom, Harskamp, Veenendaal and Wekerom. These are all within biking or walking distance. Furthermore, many nationally known amusement parks and zoos are easily accessible from the park. As far as entertainment is concerned, Ede has nice bars and offers plenty of opportunity for a fun day or evening out with its large shops, cafes, restaurants and a movie theater. 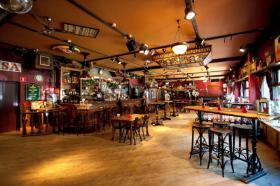 Ede also features one of the best pastry shops in the Netherlands, Bernardo's for homemade Italian ice cream. The last ten days of August is dedicated to the Ede Heideweek. During this period, a number of fun activities are organized. If you enjoy fairs, you will feel right at home. For example, in July and August there are summer fairs in Ede, Lunteren, Barneveld (the former Veluwe market) and Voorthuizen. Are you looking for crafts, novelties or fun summer products? On the last Saturday of August you can, during Old Lunteren Days, you can learn about the history of the region. In September there is also plenty to do. For example, numerous nature trips are organized. They take place in the immediate vicinity of the park. Each year, these trips are enthusiastically attended. Culture, nature and animal parks, as well as museums and theme parks can be found in the towns around: Utrecht, Arnhem, Apeldoorn and Amersfoort - all only half an hour away by car. 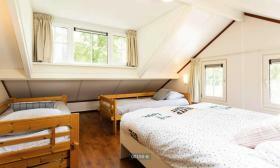 Great attractions include: Het Loo Palace in Apeldoorn, The Apenheul in Apeldoorn, Walibi World in Biddinghuizen, Burgers Zoo in Arnhem, Ouwehand Zoo in Rhenen, Queen Juliana Amusement Park in Apeldoorn, the Dolphinarium in Harderwijk, Dutch Open-Air Museum in Arnhem and the Toy Museum if Brummen. In short, both in and outside the park there is enough present for you to enjoy a truly unforgettable holiday! 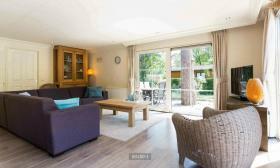 This detached comfort chalet has a surface area between 135m2 and 165m2 and is suitable for 8 persons. Ground floor offers a living room with doors opening to the terrace. 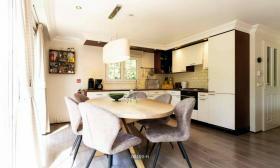 The kitchen is supplied with a coffee machine, microwave/oven, dishwasher and a fridge with freezer compartment. 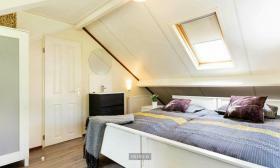 You will also find 1 bedroom here with a double bed and a closet. 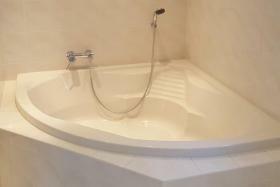 The bathroom is on ground floor too and offers a bath tub and a shower. 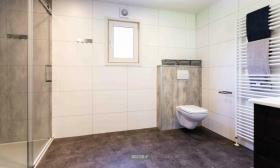 In the hall is a separate toilet. 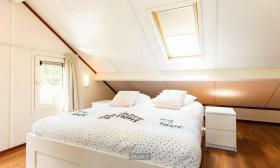 The first floor has 2 bedrooms, one with 2 single beds and the other with a double bed and 2 single beds. 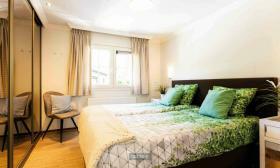 The house offers TV, central heating and a parking space with the chalet. Business bookings are not allowed from 1 January 2019! There is a pin code device present at the reception desk. It is possible to pay by credit card. - Notes of € 100.00, € 200.00 and € 500.00 are not accepted in the park. For any correspondence please refer to your reservation number. The deposit is due upon arrival and can only be paid by debit card. At present child bed linen is not available. We kindly ask that you bring your own. Bedlinnen is obligated to rent, this includes bedmaking. We can not assume responsibility for lost or mislaid property, property damage or personal injury incurred during your stay in the park. Maximum 2 pets allowed, please check first if this is possible, because not in all accommodations are pets allowed. Late check out (till 16:00 o clock, ON REQUEST) is possible for € 50.00, you need to arrange this at the reception of the park. A number of houses within the type of home shown here, offer additional facilities. 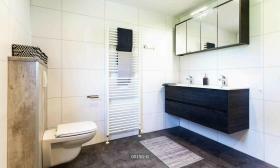 When booking this type of home you will be able to book (some of these) additional facilities. The preferred/costs are a one-time fee of € 15.00. Additional facility with preference: smoking allowed. Towels and kitchen linen are not included, it is possible to rent them when a reservation is made or at the park directly. There is free WIFI available for 1 device.